Part Number 06D109309C. Genuine Fuel Pump Cam Follower / Tappet. Cardiff Audi. Have any queries?. Part Number 06D109309C. With SEAL - WHT005184. Genuine Fuel Pump Cam Follower / Tappet with Seal. Cardiff Audi. Have any queries?. IT IS A HIGH PRESSURE FUEL PUMP FOR 2.0 PETROL ENGINE MODELS. THIS IS A GENUINE VW / AUDI PART NOT A CHEAP COPY ! RRP £255.79 FROM AUDI. A1 2015 >>>. Golf 2013 >>>. Part Number : 04B 130 755 F. Compatible Part number:04B 130 755 E. Fabia 2015 >>>. Polo 2015 >>>. Leon 2013 >>>. A high pressure fuel pump, for the 2.0 litre diesel engines (TDI), fitted to a wide range of Audi, VW, Seat and Skoda vehicles from 2004. Call VW Sanburn. Northern Ireland, The Highlands, Channel and. THIS IS A GENUINE VW FUEL PUMP NOT A CHEAP COPY ! RRP £312.28 FROM VW. IT IS THE VDO 3 BAR ELECTRIC FUEL PUMP THAT FITS IN THE FUEL TANK. P/n 0460404977, 038130107d. Skoda Octavia 1.9 tdi fuel pump. Removed in good working condition from a running car. UK car - RIGHT HAND DRIVE (RHD). The part is in very good condition as you can see in the pictures, what you see is exactly what you get. AUDI SEAT SKODA VW 1.8 TFSI VACUUM PUMP AND PETROL PUMP GOOD WORKING CONDITION. Engine 1968cc. Diesel CNHA, 140KW. Audi A5 2.0 TDI 8T 2016 2 Door Coupe Model. Colour Black. All costs will be covered in this instance. The warranty covers the part only and does not cover any labour costs incurred in fitting or removing the part or any consequential loss. IT IS THE RIGHT SIDE TOP FLANGE THAT FITS TO THE TOP OF THE FUEL TANK. 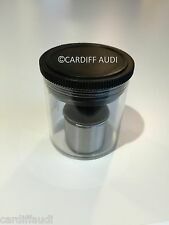 RRP £39.42 FROM AUDI. This is fitted across a wide range of VW, Audi, Skoda and Seat cars and vans. This is a diesel pump stop solenoid. This is a new,genuine Audi part. Part number. Alternative part numbers. The New and Used VW Parts Specialist for all VW models worldwide. VW Part Number: 1K0 919 051 M. It may fit others. The New and Used VW Parts Specialist for all VW models worldwide. VW Part Number: 8E0 803 961. It may fit others. Donor Car Colour: Bodywork is Green LY6J. Interior trim is Green N5A/ HB. 8E0906087C 8E0906087F. 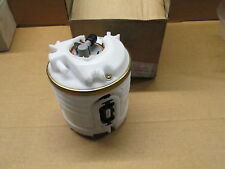 This is an in-tank fuel pump for the following cars with petrol engines only A6 C5 1998 - 2005. Passat B5 1997 - 2005. This is a new,genuine VW part. Part number. Alternative part numbers. Donor Car: 2008 Audi A6 C6 Saloon 2700cc. The New and Used Audi Parts Specialist for all Audi models worldwide. Audi Part Number: 059 130 755 S. It may fit others. The New and Used VW Parts Specialist for all VW models worldwide. VW Part Number: 7L6 919 088 D. It may fit others. Donor Car Colour: Bodywork is Blue Z5Q. Interior trim is Black. If the item is used, we are unable to accept the goods back. AND WE WILL DIRECT YOU. IN DOUBT WHETHER IT WILL FIT?. MAINLAND24 HRS. (incl: NORWAY & SWITZERLAND). 2013 - 2017 AUDI A3 8V HIGH PRESSURE FUEL PUMP FUEL RAIL. THIS IS A GENUINE AUDI VOLKSWAGEN AND SEAT PART. Headlights & Rear Lights. REMOVED FROM A GENUINE LOW MILEAGED CAR. THIS FURL RAIL/PUMP IS A USED PART. The New and Used VW Parts Specialist for all VW models worldwide. VW Part Number: 7L6 919 088. Donor Car Colour: Bodywork is Blue Z5Q. Interior trim is Black. It may fit others. Part Number: 4B0906087AN. To fit Audi A6, VW Passat TDI 1.9/2.5. Important note: This is a generic picture. It is NOT of the actual item and is used only for illustrative purposes. • Wide Selection of parts for your German Car at one place. 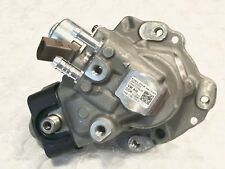 $8D0145156 T AUDI/VW POWER STEERING PUMP AUDI A4 B5 130 BHP. 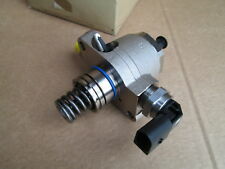 VW TFSi high pressure petrol fuel pump. GENUINE AUDI VW PART. fits various cars in the VAG range.VW,Audi. VW Passat B5 Petrol Fuel Pump. The New and Used VW Parts Specialist for all VW models worldwide. VW Part Number: 8E0 906 087 E. It may fit others. Audi A4 B5 1.9 TDi Diesel Fuel Pump. Donor Car: 2000 Audi A4 B5 Saloon 1900cc. The New and Used Audi Parts Specialist for all Audi models worldwide. Audi Part Number: 028 130 115 M. It may fit others. VW Golf FSi Petrol Fuel Pump and Sender. The New and Used VW Parts Specialist for all VW models worldwide. Donor Car: 2004 VW Golf MK5 1600cc. VW Part Number: 1K0 919 051 N. It may fit others. 2016 - AUDI A6 C7- 2.0 TDI. DIESEL HIGH PRESSURE PUMP. PART NUMBER:03L130755AC. HAS NORMAL USE MARKS. PART NUMBER - 0445010529 03L130755AC. AUDI A4 B8 12-15 2.0TDI. A4 B8 SALOON SE. HIGH PRESSURE FUEL INJECTION PUMP. Audi parts available off the shelf. COLOUR ICE SILVER - LX7W. We won’t take any responsibility for the compatibility of parts unless we have explicitly said it will fit. This is an in-tank fuel pumpfor petrol engines for the following cars Passat B5 1997 - 2005 . A6 1998 - 2001 . This is a new,genuine VW part. Part number. Alternative part numbers. 059130113A - 059 130 113A. This is a V6 diesel engine injector pump belt for the following vehicles Passat 1997-2005. This is a new,genuine Volkswagen part. Part number. Alternative part numbers. Part Number: 03L130755AC. Also equivalent/a revision to part numbers Application(s): 2.0 TDI engines in the Audi A4 (2010 ), A5 (2012 ), Q3 (2012 ), Volkswagen Tiguan (2008-2012), and Golf (2012-2014). Generic Notes on this Part: Suits AKE BCZ and BAU Engines. The New and Used Audi Parts Specialist for all Audi models worldwide. It may fit others. Audi Part Number: 059 130 106 LX. We have for sale a Used Not Tested Fuel injection Pump for a Audi 2.5 Tdi V6 from 1996 to 2004. This item is Used as can be seen in the photos. Audi Breakers. FOR YEARS: 2004, 2005, 2006, 2007, 2008, 2009, 2010, 2011, 2012 (2007). Seat Breakers. All A/C Compressors must have the A/C system flushed to remove any contaminants and the proper oils and Freon to be used. VW GTD 81kW/110hp - DBKA/CXXB. VW Golf GTD 7. TT 8S - 184 HP - CUNA. Part number: 04 L 130 755 D. Diesel pump. CUNA/CRBD/CRHA/CRLC/DEJA/DBGA. CNHA/CNHC CSUA CSUB. Q5 8R - 190 HP / 136 HP / 150 HP -. Part number: 06J 127 025 L. Compatible superseded part numbers: 06J 127 025 E, 06J 127 025 F, 06J 127 025 G. Altea 2011 >> 2014 >>>. Alhambra 2011 >> 2015. Superb 2008 >> 2015. Octavia 2009 >> 2013. 2013 MK3 Audi A3 8V FUEL PUMP SENDER Part Number - 5Q0919050P. Please make sure part is correct before purchasing. We try to describe our parts as honestly as we can, however please also see our images in case we have missed anything. Any questions please ask. International buyers please contact us for price and availability of postage to your location. Removed from below vehicle -. IT IS A HIGH PRESSURE FUEL PUMP PIPE ADAPTER UNION FOR 2.0 PETROL ENGINE MODELS. All parts are marked for identification purposes. We are a long established vehicle dismantler situated in Northern Ireland, with over 25 years experience in vehicle dismantling. FOR YEARS: 2010, 2011, 2012, 2013, 2014, 2015 (2013). Volkswagen Breakers. Seat Breakers. All A/C Compressors must have the A/C system flushed to remove any contaminants and the proper oils and Freon to be used. Audi A6 C5 Petrol Fuel Pump. Donor Car: 1998 Audi A6 C5 Saloon 2400cc. The New and Used Audi Parts Specialist for all Audi models worldwide. Audi Part Number: 8E0 906 087 D. It may fit others.